Feeling hot under the sun? Cool it down with some Aloe Vera popsicles made with your favorite Salutti Aloe Vera drink! Use your favorite Salutti Aloe Vera drink, Aloevine Aloe Vera drink, or Salutti YogoAlo Yogurt drink, popsicle sticks and a popsicle tray. (Serves up to 6). Pour your Aloe Vera drink in the popsicle tray. 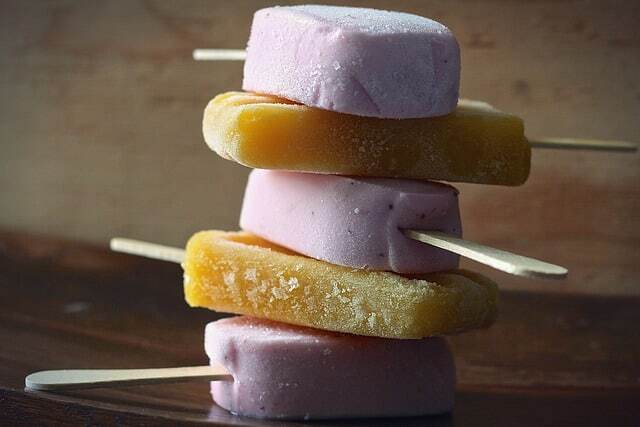 Add a popsicle stick to each future popsicle. Our Spring Breeze Aloe Vera Popsicles are a great way to cool down, hydrate, and fuel your body with energy! It’s also packed with vitamins, making it a smart choice for a sweet treat! No matter which of our Aloe Vera drinks you choose, keeping these popsicles stocked in your freezer will save you calories when you need to feed that sweet tooth. John. Nice idea. We are still thinking about a shelf stable freezer pop.